Back on their feet at last! The 1st Wise experiment campaign is now over for the 12 women volunteers, after 60 days months in a bedrest position to simulate the weightless conditions of space. 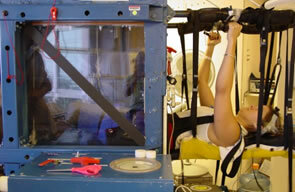 The experiment will provide data on how the female body responds during space missions. After 60 days, the 1st Wise bedrest experiment campaign is now over for the 12 women volunteers. The women, who spent 2 months tilted head-down at an angle of –6°, are now up again and slowly readapting to finding their feet on the ground. From mid-March to mid-May, the 12 volunteers were subjected to the conditions experienced in weightlessness. They had to adhere to scientific protocols, including a strictly controlled diet, muscular exercises and a daily routine of tests and activities. They remained in bed at all times, not even getting up to eat or go to the bathroom. Because in space, you can’t just switch weightlessness on and off like a light. The volunteers have now begun a 20-day recovery period, during which they will receive psychological and medical support to help them get over the effects of the long bedrest as quickly as possible. In the days ahead, a new series of tests will be conducted to gather every last item of valuable data to prepare for long-duration spaceflights. After that, the volunteers will be ready to resume a normal life. The Wise experiment, organized by the Medes space clinic for CNES and partner space agencies, aims to study how the female body responds in weightless conditions. A factor motivating this experiment is that crews on long-duration space missions are expected to include more women astronauts in the future. 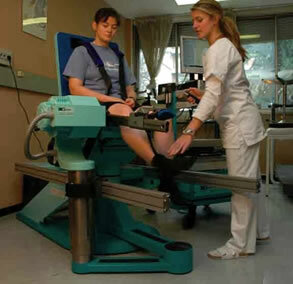 The bedrest position is the best way to simulate the effects of weightlessness, inducing the same kind of physiological changes as those encountered by astronauts in space. Wise is designed to help scientists understand how diet and physical exercise can counteract the negative effects of weightlessness. The 12 Wise volunteers were the first women to take part in a bedrest study on this scale. This unique experiment was sometimes tough going, but undoubtedly a worthwhile experience that will help to advance medical research. * Volunteers will be paid to take part in a 2-month study, from September to December. Find out more on the Medes website.